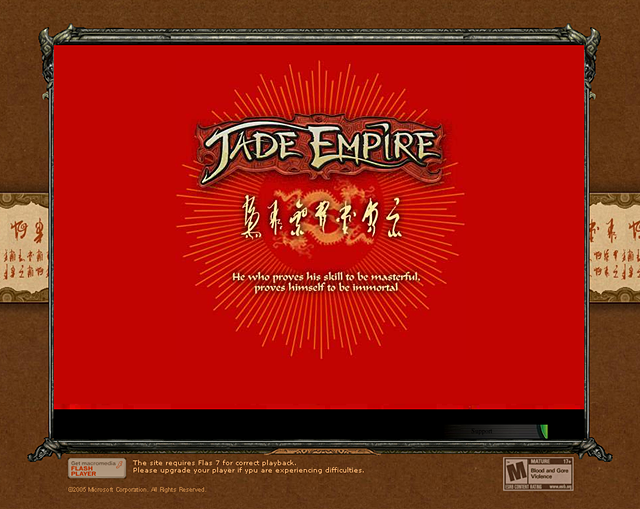 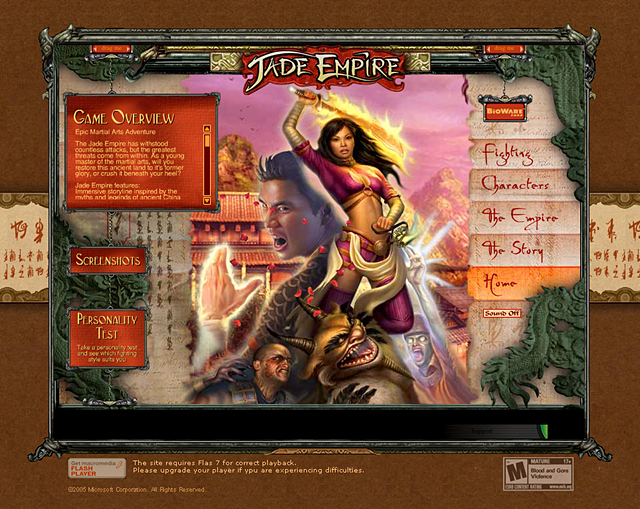 The Xbox game publishing team, collaborating with game producer Bioware, needed an extremely unique experience created for their groundbreaking game Jade Empire. 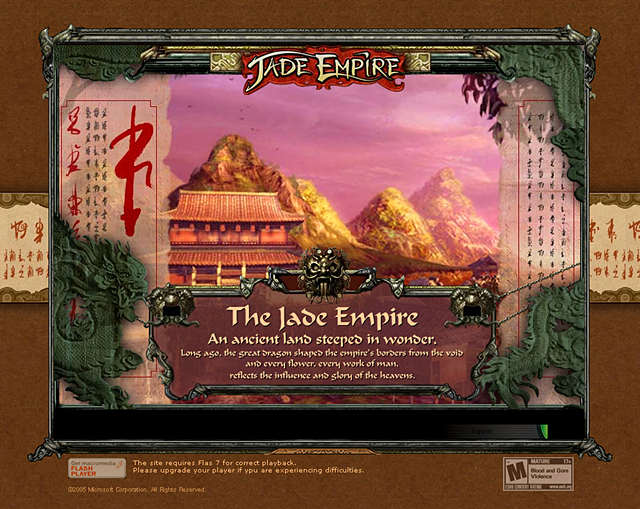 The microsite we delivered has a cinematic feel, thematically and visually similar to Crouching Tiger, Hidden Dragon. 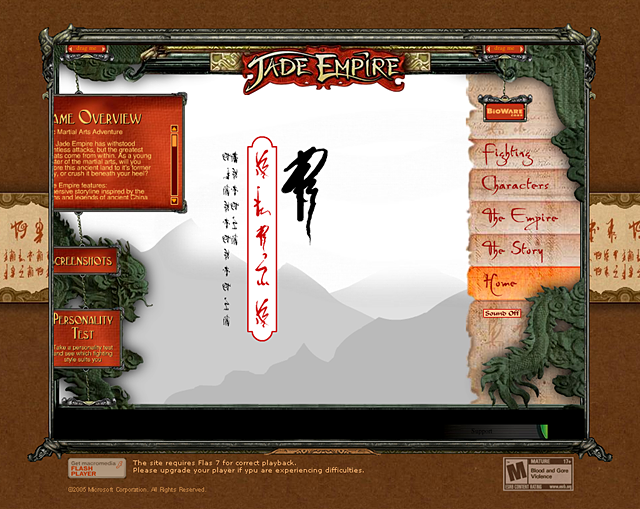 We captured the richness of Chinese history in an engaging online experience that fully represents the game brand. 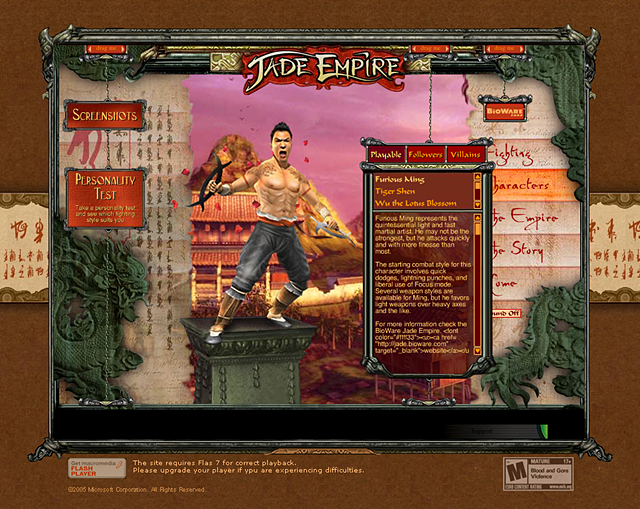 The site is designed flexibly, for easy localization and successfully presents the game in the best light for the target market.